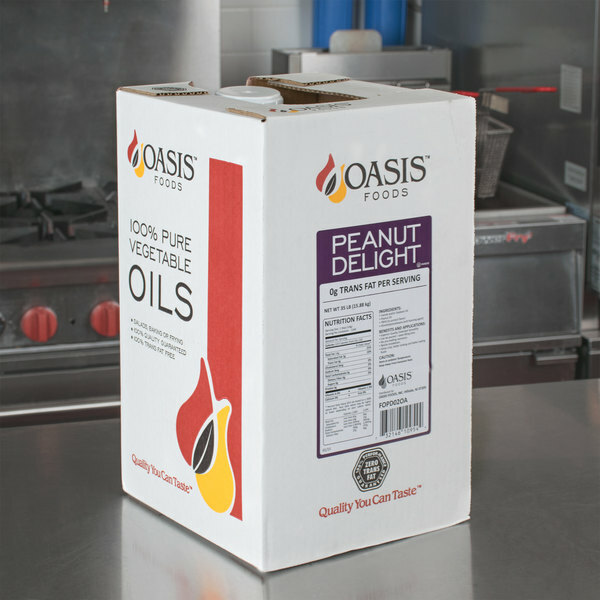 Oasis Peanut Oil Blend - 35 lb. 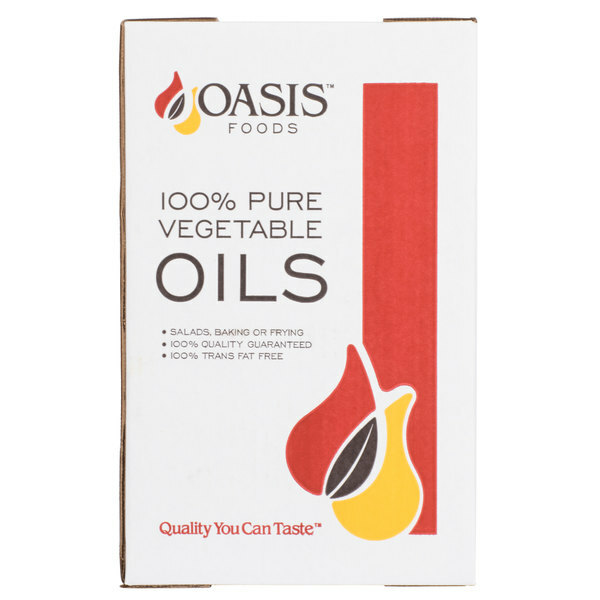 Deep fry your Asian dishes, turkey, or poultry to perfection with this Oasis peanut oil blend! Boasting a high smoke point of 450 degrees Fahrenheit, this peanut oil blend is popular for stir fry, deep fried chicken, or battered fish. An economical substitute for pure peanut oil, this blend is perfect for everyday use. Since it doesn't transfer its flavor to your food, your patrons will fully enjoy the taste of your signature fried dishes. This dependable, multi-purpose peanut oil blend is a great value for many of your restaurant, diner, or concession stand's cooking needs. You'll find excellent results when making French fries and you can even whisk it into salad dressings. No matter what you prepare, you'll want to keep a good supply on hand. Stock your kitchen and save costs with this bulk 35 lb. / 4.5 gallons supply! 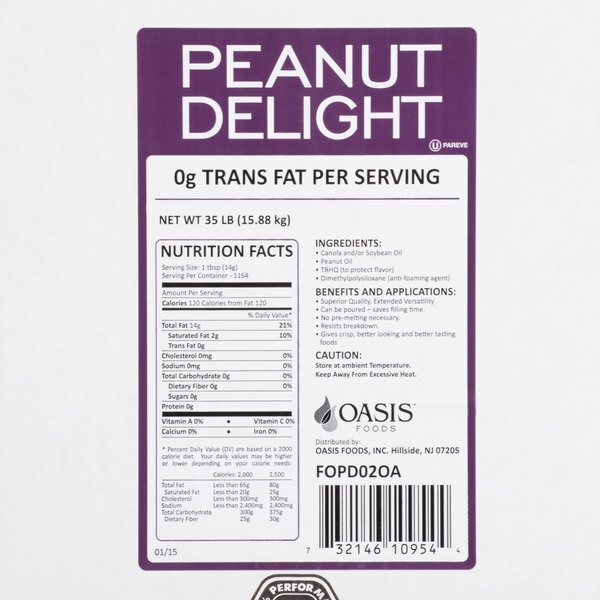 Overall User Rating: Oasis Peanut Oil Blend - 35 lb. The peanut oil blend is a great fry oil and makes for a great frying oil. It is our go to oil for frying and no bad taste. I love it. This may very well be the precipice of peanut oil options. I’ve found that retail grade peanut oil is extremely expensive and you don’t get a good deal of product for what you pay. With the Oasis container you get plenty of oil at a nominal cost and the overall quality is second to none. This is the only peanut oil that I will be purchasing going forward. This is good for making your own natural version of peanut butter. It also enhances the taste of many food products such as french fries and more. We use this oil in our concession trailer for chicken products. I've noticed it gives fries an odd after-taste but for chicken nuggets and sandwiches it works well. I will continue to purchase it for this price. Our customers enjoy it a lot. Very happy with this product. Peanut oil heats very quickly so you do not have to leave the fryer on long before using it. It has excellent flavor and cooks food evenly. This oil gives great flavor to fried food and has a relatively high smoking point!! It makes hage frech fries taste great, and chicken has never come out so crisp! Great brand of blended peanut oil. Works wonders for fryers. Produces golden brown crispy products every time. Would recommend to anyone looking for a cheap clean and durable frying oil.